Since the beginning of my career, I have always been fascinated with reasons why people buy. I recall back in graduate school, learning about one of the simplest ideas behind the marketer’s ability to influence consumer behavior though “Moments of Truth” - a term coined by Procter & Gamble two decades ago. Customers are faced with so many options. What pushes them to make their decision? Do they pick the product with the brand name they saw on TV? Do they chose the item with the best price or best deal? Or maybe it’s as simple as the product’s location in the store. All of these considerations go into the “First Moment of Truth,” the moment when the product is chosen off the shelf. 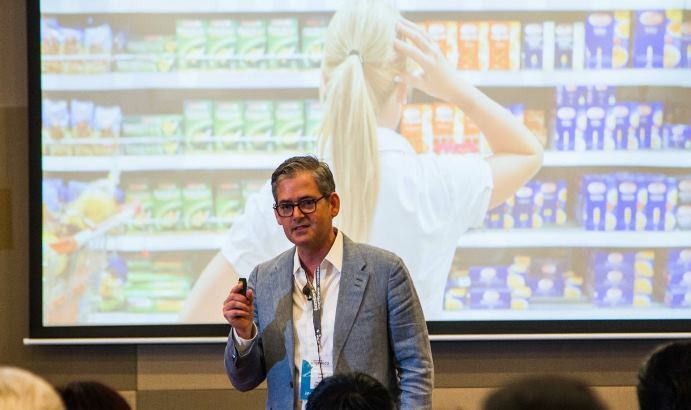 P&G marketers realized the importance of these factors and did everything possible to ensure that shoppers were encouraged to reach for their products at that moment of truth. But they didn’t stop there. P&G marketers also defined the “Second Moment of Truth,” which is what happens when consumers take the product home and experience it for the first time. Is it easy to open the packaging and is it appealing? Does it taste good? Does it work well? With the Second Moment of Truth, P&G had a very strong advantage in increasing the chances of repeat purchases the next time. Enter the digital age. Consumers began searching online before going to the store and this was dramatically impacting the consumer purchasing process. Technology forced us to rethink the marketing model. Google defined their moment - the ZMOT or “Zero Moment of Truth,” which is when the consumer does an online search to find what they need. Google argued that in the era of search engines, the ZMOT pivotal because that’s when the customer is the most heavily influenced and makes their choice. Waiting to influence the decision at the shelf is too late. Keywords, AdWords, SEO, etc. became new ways to ensure the shopper was led to the right shelf or was given a chance to buy online. T o be sure, the 1MOT, 2MOT and ZMOT all remain relevant, even in today’s digital economy. However, there is a new moment worth considering as technology continues to impact the way we buy and transact. The moment of “transaction engagement,” when the consumer completes the transaction. In the past, this part of the buying journey was not considered very important. We didn’t have much choice in stores, other than to stand in line and wait for our turn at the cashier. But today’s stores give us more convenient checkout options, and as we’ve moved from in-store to online and now mobile purchasing, this transaction engagement is ever more important – especially because it’s still full of (visible and invisible) points of failure. Customers have more choices and merchants should think carefully about the experience they offer consumers during this step in the buying cycle. Consumers want the payment methods they recognize and the currencies they use daily. Online, they want secure websites and easy to use mobile payment options. And it all has to happen fast and seamlessly. That’s why we think there should be a new moment of truth, - a moment of truth that highlights the complexity during the transaction engagement. 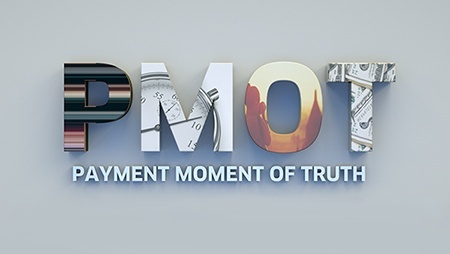 At Ingenico, we call it the “Payment Moment of Truth,” or PMOT. The PMOT doesn’t have to be visible. In Seattle Washington in the US, Amazon just opened a retail space called Amazon Go, where customers buy without stopping at a checkout to pay. The same company that invented the 1-click buy button, have created a new shopping experience, they call “Just Walk Out” shopping. Their store is based on the notion that the consumer’s payment experience is paramount and the PMOT is their single point of differentiation. In a world where shoppers are requiring ever more sophistication in both the channels and the ways they prefer to transact, merchants who conquer their PMOT will have the advantage. At Ingenico, we have a treasure cove of data that we turn into actionable insights for our merchants.  Each transaction has over 50 specific data points that can be analyzed and used to help optimize the transaction engagement. This means that PMOT can be measured and backed up with actual data. 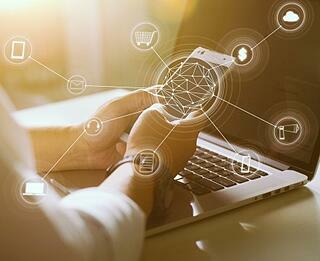 With more knowledge, merchants are better equipped to shape customers’ Moments of Truth in their path to connect with their customers. And that’s something that everyone – not just marketer’s – can be excited about.